Silhouette Lift is made from polypropylene, a material that has been used inside the human body as a suture material for decades. 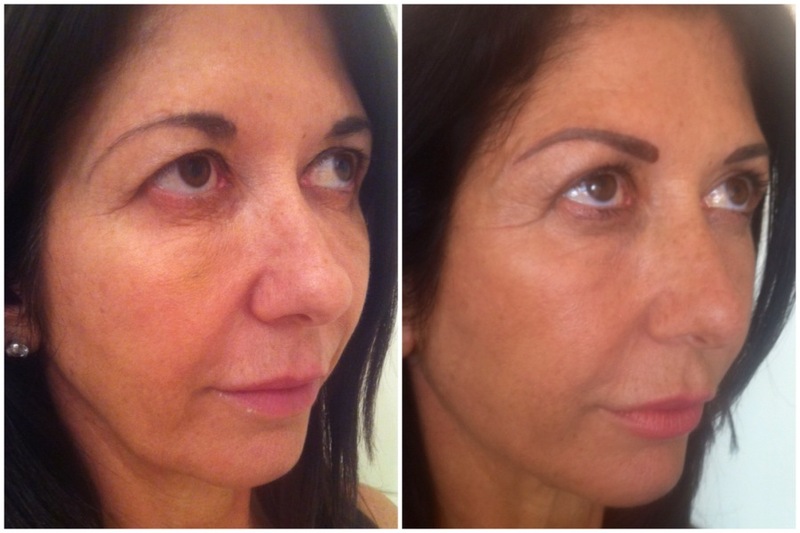 Silhouette Lift is designed with patented dimensional cones that attach to the sub dermal tissue, lifting, suspending and fixating contour of the brow, midface and neck areas. Using local anaesthetic, the threads are passed into the droopy facial element with a special guide needle. The threads are then able to grab on to the droopy soft-tissue and muscle of the desired area. Most patients experience minimal bruising or swelling for 1-7 days. The Silhouette Lift is not painful and most patients can return to normal activities with makeup the next day. The threads stay where they are inserted and, like all internal sutures, are generally well tolerated by the body. The Silhouette Lift shows immediate effects. 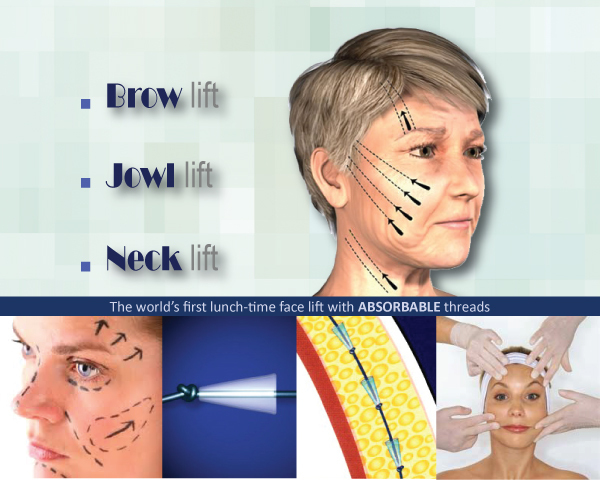 Patients can achieve 30-70% of what an invasive facelift may achieve and well over 90% of Silhouette Lift patients report very satisfying lift results. 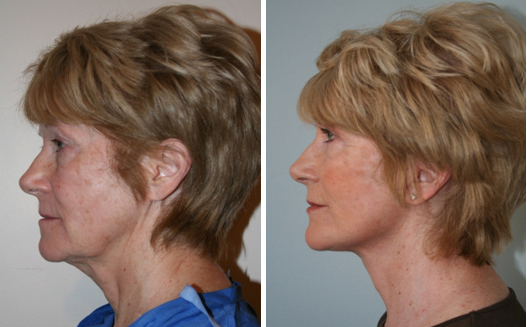 The Silhouette Lift lasts 3-5 years and can be repeated. Many Silhouette Lift patients may combine the skin tightening effects of the Silhouette Lift with other procedure. Patients may choose to re-suspend tissue with this technique in several years or go on to more traditional forms of plastic surgery. What do the threads look like? Unlike other thread products, Silhouette Lift is clear so they are not visible under fair or thin skin. 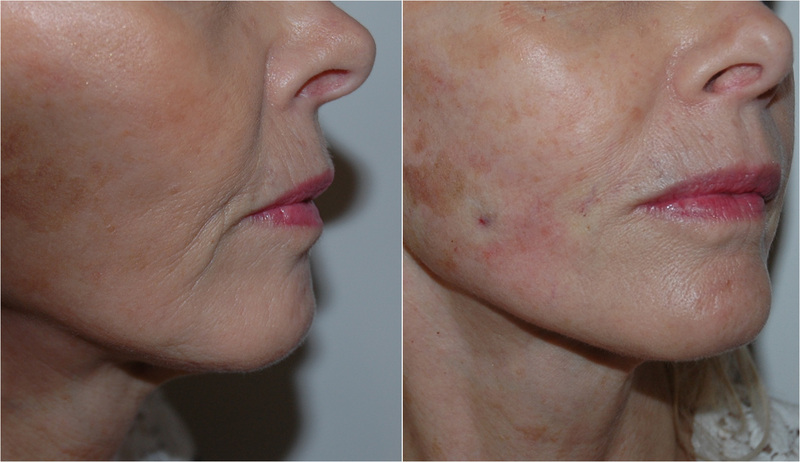 Due to the unique design of the cogs of Silhouette Lift, the surrounding tissues act to hold the threads in place without the need for visible scars. 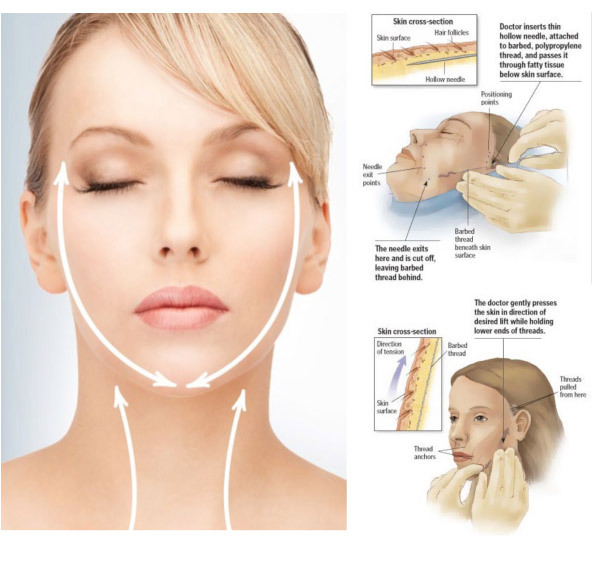 The physician makes a tiny incision behind the hairline and the threads are advanced along the previously marked contours so they create a firm hold on the underlying tissues without causing additional trauma. The cogs do the work of holding, by being fixated to tissue as they are softly contoured into place. Once in position, your body generates new collagen bundles that surround each thread to maintain the lifting effect. Pain and discomfort are very minimal with this technique and most patients can take only Tylenol for pain relief. In most cases, ice compresses are recommended for the first 24-48 hours. When performed by a certified physician with experience, the procedure is very safe. The risks and complications are uncommon and usually easily correctable. The actual sutures are made from polypropylene, which is a material that has been used in brain, heart and abdominal surgery for many years. Since a Silhouette Lift is performed under local anaesthesia, there are none of the risks associated with general anaesthesia. What kind of care is required after the procedure? Following a Silhouette Lift procedure, there are some practical instructions and care that must be followed to avoid traumatizing or dislodging the threads from their supportive locations in the deep fat of the face and neck. Some of these instructions include avoidance of forceful facial rubbing or trauma, sleeping on your back, minimal facial animations, putting pressure on the face, and avoidance of excessive mouth opening. After 3 weeks, there are no more restrictions. Depending upon your job and your tolerance for some minor bruising and swelling, you may be able to return to work in 2-3 days following the procedure. Most patients look good in makeup after one week. Physicians’ experiences have shown that duration varies, depending on the age of the patient at the time of the procedure, the degree of sagging, and the number of threads used. The Silhouette Lift is a simple procedure to perform. Complications are rare and will be less likely with an experienced, fully trained surgeon. The Silhouette Lift is a stand-alone procedure. However, it is not uncommon to have this procedure combined with Botulinum toxin (Botox) to reduce facial muscle activity, dermal fillers to enhance volume, or peels and laser therapy to improve skin texture. Liposuction of the neck and jowls, and chin augmentation, are some of the other procedures that can be done in conjunction with a Silhouette Lift procedure. Silhouette Lift is non-absorbable, and it will not dissolve over time. The effects are immediate. During the time of your consultation, Dr. Yadegar will demonstrate in the mirror, the relative amount of lift that the Silhouette Lift can achieve. 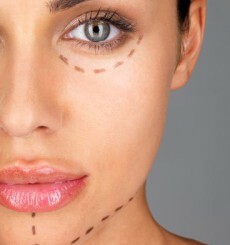 The procedure can also be combined with other techniques including blepharoplasty (eyelid surgery), fat transfer, dermal fillers, Botulinum toxin (Botox), and liposuction of the neck. Do I need to have anaesthesia? In most cases, only local anaesthesia is required. Your physician may also offer you the option of having light sedation or twilight anaesthesia, depending on the extent of the Silhouette Lift you are having and the number of Silhouette Lift to be used in one stage. General anaesthesia is not necessary for this technique. The Silhouette Lift is most commonly performed under local anaesthesia and the procedure usually takes less than 30 to 60 minutes to complete, depending on the number of threads used. Patients are able to go home soon after the procedure. Who is a good candidate for a Silhouette Lift? In general, the best candidates for a Silhouette Lift include both women and men who want a more dramatic and long lasting effect than fillers and Botulinum toxin or other treatments can provide, but do not want a full face lift or brow lift procedure. Ideal candidates are women and men in the thirties through the sixties with moderate drooping of the soft tissues of the brow, face and neck. Patients must have realistic expectations. They should not be too heavy or too thin, and should be medically well and not be taking blood thinning medication.